Hey guys!! I'm super happy to announce my second international giveaway in collaboration with Ancient Greek Elixirs! Last time 10 lucky readers won an amazing Aphrodite Rose facial serum (read my review here, I'm its biggest fan) and this time the prizes are just as awesome, trust me. 10 of you can win a 100% organic and homemade body butter, customized with a scent of your choosing. Amazona – wild, mix of notes, cinnamon, vanilla for seductive smell. I got the Eros one and let me tell you that Petra, the mastermind behind Ancient Greek Elixirs, is a true sorceress when it comes to scents. Eros is a deeply sensual, comforting and unconventional fragrance (is that a weird way to describe it?). I have a hard time putting a finger on this scent, but it does evoke the most positive feelings, even though it doesn't smell like anything I've smelled before. This body butter is a very rich product and as such it can feel a little oily on your skin for the first couple of minutes, but boy does it pay off! Once it's absorbed, it leaves your skin velvety smooth - you know, that perfect smoothness that is so hard to achieve with commercial brand products and that lasts for the whole day. It contains vitamin E, olive oil, almond oil, shea butter, coconut oil, calendula oil and essential oils - all organic, of course. If you would like one for yourself, enter the giveaway through the Rafflecopter widget at the end of this post and don't forget to let me know which scent you would like to try in the comments below. Ciao ragazzi!! Sono felicissima di annunciare il mio secondo giveaway internazionale in collaborazione con Ancient Greek Elixirs! La volta scorsa 10 di voi hanno vinto un fantastico siero viso Aphrodite Rose (potete leggere qui la mia recensione, sono una fan), ma vi garantisco che questo nuovo premio non è da meno. 10 di voi vinceranno un burro corpo 100% organico e fatto in casa, personalizzato con un profumo a vostra scelta. Io ho scelto Eros e posso dire che Petra, creatrice di questi meravigliosi prodotti, è la maga dei profumi. Eros è una fragranza profondamente sensuale, confortante e non convenzionale, anche se questo può sembrare un modo un pò strano per descriverla. Non riesco a capirla bene o ad associarla a qualcosa, ma mi provoca solo sensazioni positive. Questo burro corpo è molto ricco e per questo per i primi 2 minuti dopo l'applicazione può sembrare un pò oleoso, ma vale la pena aspettare! Una volta assorbito, la pelle diventa di velluto e rimane liscia per tutta la giornata - un effetto quasi impossibile da raggiungere con i brand commerciali. La crema contiene vitamina E, olio d'oliva, olio di mandorle, burro di shea, olio di cocco, olio di calendula e oli essenziali - tutti rigorosamente organici. Se vi piacerebbe provarlo, partecipate nel giveaway tramite il widget di Rafflecopter qui sotto e fatemi sapere nei commenti quale fragranze scegliereste. These look so gorgeous! I've never heard of Ancient Greek Elixirs but these sound like lovely products! I like that they named it after gods and goddesses too. che carino questo giveaway cara!! Of course you can dear, it's international! Ciao cara interessante questo prodotto! sceglierei Eros. Non ho facebook quindi mi spiace ma non posso seguirvi! Aw that's really a great giveaway! Thanks for sharing! That's very good! I thought Eros would be very nice, but I think I would prefer the Mermaid scent! Beautiful giveaway! vorrei provarlo allora mi inscrivo!! in bocca al lupo a tutte! How nice! Really good stuff. Io sceglierei Exclusive Greek Mastic !! I love them all♥ I would choose Sirena please. Thank you for the giveaway. Partecipo con piacre !!! Ottimi prodotti davvero !!!! I would prefer the Mermaid scent! I'm thinking either the Athena or Amazona. Good luck every one! And thank you for hosting a giveaway! greek mastic because that scent is hard to find but it was hard to choose . everything sounds great ! Ciao, mi piacerebbe vincere Amazona! This stuff sounds amazing! What an awesome giveaway! Partecipo volentieri ed incrocio le dita! This stuff looks great! I want to try it out! I wish good luck for all girls! My e-mail is gibb.alison64@gmail.com. All of the scents sound lovely. I would choose the Mermaid scent because I love sandlewood!! Il profumo che preferirei è Amazona! Stupendo! questo è un bellissimo giveaway. Che bello questo burro x il corpo!!! Such an amazing giveaway! This brand sounds awesome! Oh! These scrub looks amazing. Cool review, thx for sharing! Nice give away. Thanks for sharing. These sound so nice.I would love the Amazona! Who lives in Brazil may participate? Ciao tesoro, è un GIVEAWAY meraviglioso e faccio il mio in bocca al lupo a tutte! That body butter sounds really neat and I like that you can customize the scent! Great that it is organic too! I would love to try Nymph! I think I would like the Eros scent. These sound nice. I would choose the Mermaid scent. I would like Eros scent. Curious and adventurous - love to try the Exclusive Greek Mastic! Body butter is one of my favorite products! It really leaves your skin feeling silky smooth. I would love to try the Aphrodite scent for this product. Ciao, grazie per il giveaway. Mi piacerebbe molto provare Amazona. I think I'd choose Aphrodite. i'd love to try Athena. I would love to have the Aphrodite! Che giveaway fantastico! Partecipo molto volentieri, grazie!!! Aphrodite and Amazona would be great!! I would like to try Mermaid, it sounds amazing. Nymph is my fav! hope to try it! I would love to try Nymph, although they all sound so good!! So happy to have come across this giveaway! 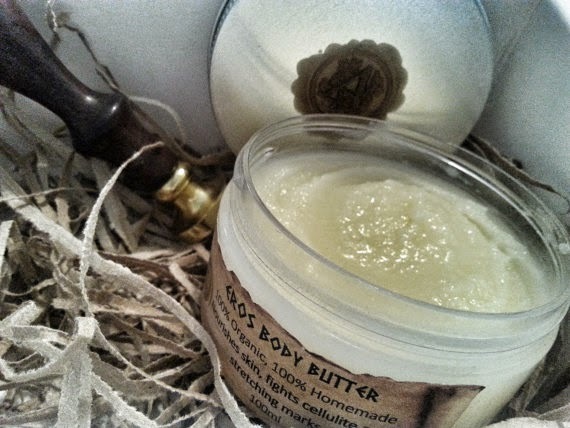 Love body butters and I love these products even more because they're organic! 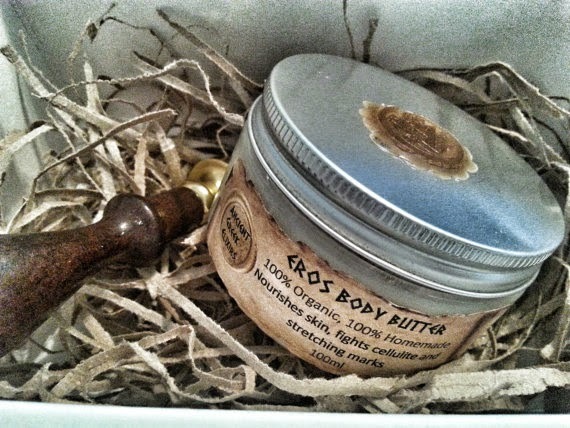 I would love to have the Athena Body Butter for myself. I like simple soothing scents that are great for that fresh feel. I would like eros, and my e-mail is visible privately! Would love to try Amazona! Xoxoxo Good luck everyone !! I want to try EROS! I think Mermaid sounds amazing! I would love the Mermaid scent! I would like the Mermaid scent. I would choose Athena or Mermaid scent. would love to try the Exclusive Greek Mastic scent or the mermaid. I would choose Aphrodite or Athena scent. Im really curious about the "Athena" scents. The Aphrodite would be my pick...thankyou.